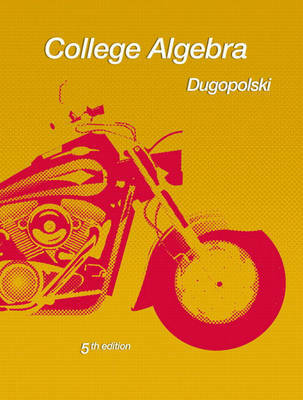 DugopolskiÃ¢ s College Algebra, Fifth Edition gives readers the essential strategies to help them develop the comprehension and confidence they need to be successful in this course. Readers will find enough carefully placed learning aids and review tools to help them do the math without getting distracted from their objectives. Regardless of their goals beyond the course, all readers will benefit from DugopolskiÃ¢ s emphasis on problem solving and critical thinking, which is enhanced by the addition of nearly 1,000 exercises in this edition.